“What we do now with words, we’ll soon do with images,” says Kevin Kelly, (a “Wired” geek), in an ancient article published way back in 2008. And what he describes in his NY Times article, “Becoming Screen Literate,” has already come true. Kevin describes how technology shifts bend the culture and the ways in which we communicate and pass on our essential truths. Storytelling has gone from oral to print to photographic to video in the space of a very short span of our history. And while we may consider the modern mash-ups and remixes a completely new type of storytelling medium, it is just another way in which storytelling reworks available material to create old stories in new ways. All art recombines and storytelling is no exception. Storytelling has always been a visual art. The storyteller relied on her actions and expressions or on his masks and props. Storytelling has used puppets, music and actors since ancient times. Now we have so many visual choices to choose from that the prospect of telling a story can seem overwhelming. The story itself, is the most important component, of course, but now it has become obvious that the supporting visuals of storytelling can make or break the story itself. 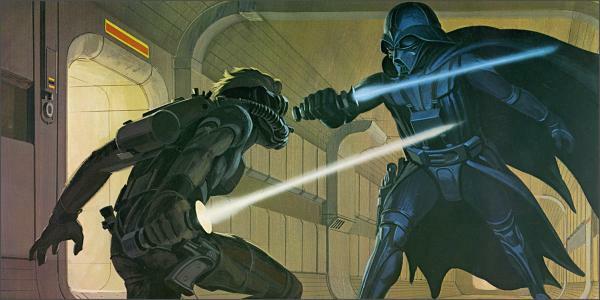 Most would agree that “Star Wars” is a compelling story, but the truth is that George Lucas could not “sell” his story concept to any movie studio until he had engaged the services of a technically skilled and inspired artist named Ralph McQuarrie, (who has just recently passed away). Ralph drew some compelling illustrations to accompany George’s movie pitch, creating from his fertile imagination, the imposing menace of Darth Vader and the appealing innocence of C3PO. Accompanied by these compelling images, when Lucas pitched his movie to 20th Century Fox, it was immediately financed. Teaching our students to visualize stories as they write them and then giving them tools to illustrate their stories in a rich variety of ways will equip them to communicate the story lines that the future longs to hear and, in some cases, needs to hear. 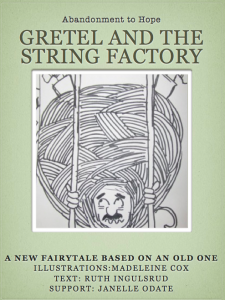 Exercises in crafting original stories based on old, traditional themes can be as easy as interpreting a fairytale. The PDF version does lack the functionality of the Google Docs version. It does not play the embedded video or show the WordArt “Water” disappearing, etc., it does show a basic sample of what can be produced in a very short time with a minimum of instruction and prep. We are now ready to set our 4th graders loose to unleash their creativity within the generous and expanding boundaries of a wide range of storytelling tools. It will be exciting to see what they come up with. 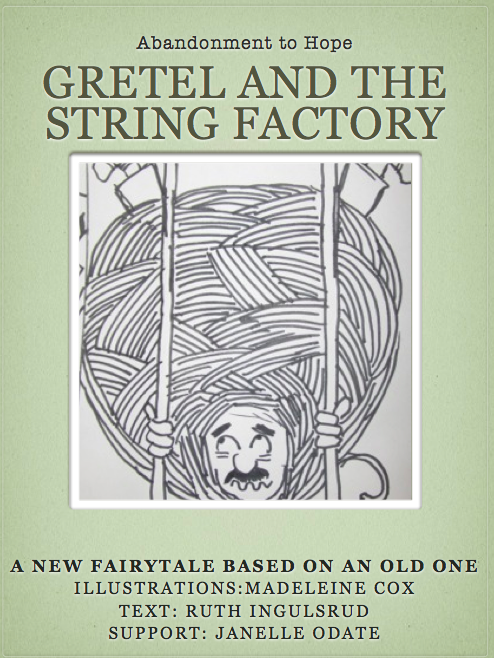 This entry was posted in COETAIL, publishing, teaching and tagged COETAIL, digital publishing, educational technology, Google Docs, iBooks Author, storytelling, transmedia storytelling, writing by ruth. Bookmark the permalink. I really liked your photo at the beginning of your article with the words coming to life from the page and embracing the girl. I was wondering where you found it, since I didn’t see any reference link. I liked your examples of how to get students to start writing stories in small groups using Google docs. I didn’t realize that Google docs had the ability to use “Word Art.” I thought that was only in Microsoft Word. I will have to try that out someday. Thanks for the tip, Ruth. After you introduced me to the iBook Author app, one of our middle school teachers who had recently attended a 21st century learning workshop in Hong Kong http://21clhk.org/ commented on the wonderful new writing tool she’d been introduced to… iBook Author! It seems to be catching on with lots of teachers. Well done Ruth. I also enjoyed the book your group made and agree with some of the points made regarding platforms for “publishing” books and using Google Docs. Hope your students enjoy the task. The poster was designed for the Australian Postal System with original target audience being the military post. It was so well-received that it eventually was used with the regular postal system and expanded to include other variations. Great concept. I will try to embed this info into my blog.